I had a busy week catching tons of fish and having even more fun with groups from texas to massachusetts. 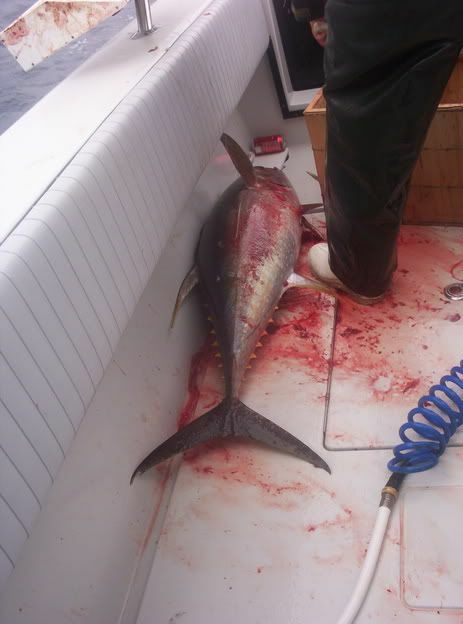 The best fish of the week were a 135 pound yellowfin and an 80 pound wahoo. 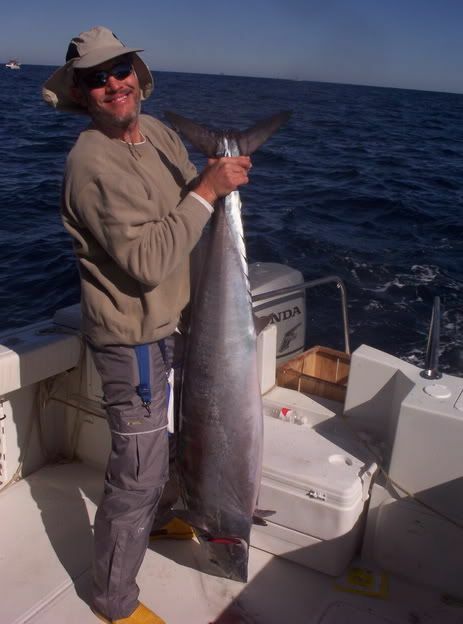 The wahoo was even better consisdering it was caught on 80 pound flouro leader. 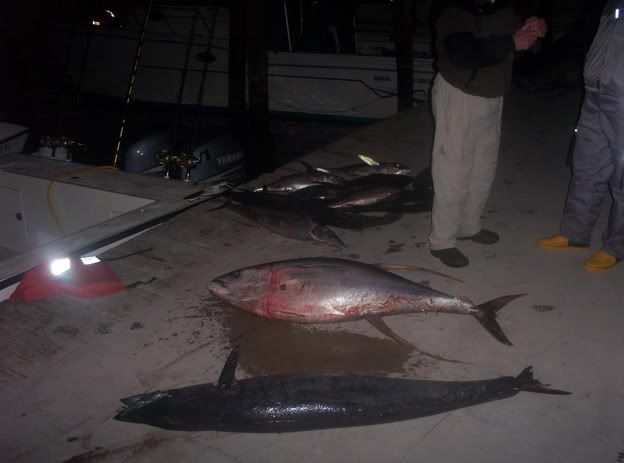 Rob Daly had the best yellowfin catch of the week on day one he caught a 90 pound yellowfin on a swimbait and on day two we chummed the yellowfin up to the surface and they caught four eighty pound fish in about 30 minutes to go along with the 50 bazillion blackfin they caught. I had 15-20 of them chummed up behind the boat all day. All fish were caught on 7/0 frenzy hooks and the ones that hit poppers of course ate teh frenzy popper. On several days we slayed teh blacks with swimbaits on spinning tackle. Brad Pitchers group must have caught 20 on spinning rods as they had a south african named Ian that casted continuosly for 6 hours. All in all it was a fun week and I am looking forward to some even better days.